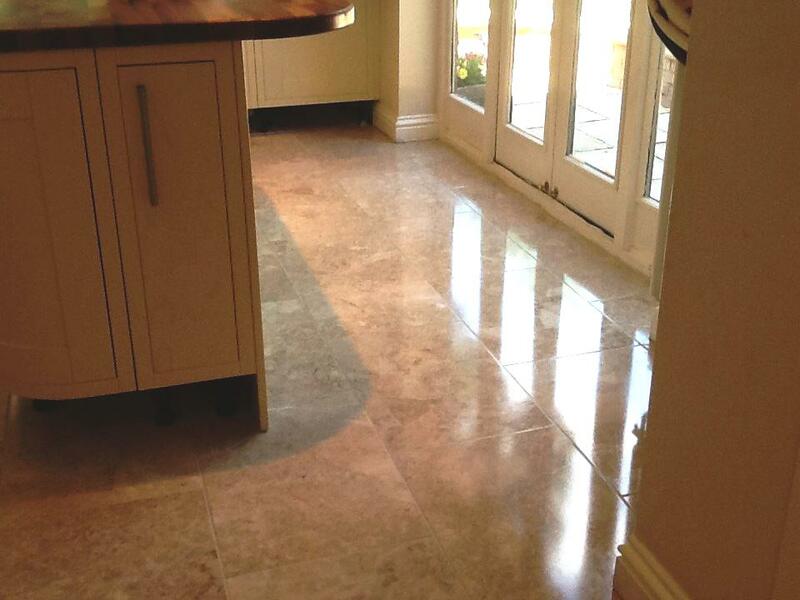 Polished stone floors such as Travertine need to be regularly maintained correctly or will lose their sheen over time, additionally grout lines can fill with dirt and light scratches can quickly dull down Travertine and attract yet more soil. This was the case with this Travertine tiled floor in Northampton which had been left too long between deep cleans and now the protective sealer had worn off and were badly scratched and soiled. To get the surface back to a condition where it can be polished again it’s necessary to burnish the Travertine using a set of diamond encrusted floor pads. The pads come in a set of four and you start with the coarse pad which together with a little water cuts through and removes grime and sealers from the tile. This take a bit of time to get around the whole floor and then you rinse it down to remove any slurry and start again with the medium pad which is of a higher grade and is the first step in the polishing process. Again the floor is rinsed before moving on to the third pad which is a fine grade and is the second step in bringing the polish back. By this time it was getting late so the floor was given another rinse and I came back the next day to apply the final pad in the set of four which is a super fine pad that is run over the floor and puts the final shine on the polished Travertine. The floor was given another rinse and left to dry so it could be sealed later that afternoon. There are a number of sealers that you can use on Travertine and in this case I chose Tile Doctor Colour Grow which in an impregnating sealer that occupies the pores in the stone to prevent contaminates lodging there and also does well to bring out the natural colours in the stone. All in the job took two days and I’m happy to report the customer was very happy with the results. 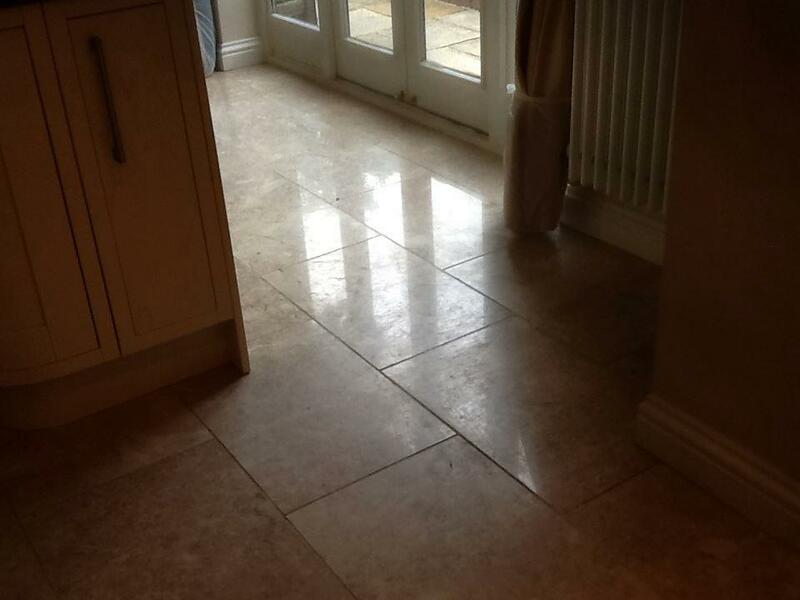 This entry was posted in Work History and tagged cleaning services, floor restoration, northampton, northamptonshire, polishing travertine tiles, sealing travertine tiles, tile cleaning, tile maintenance, tiled floor, travertine tiles by Philip Vissian. Bookmark the permalink. Its a fact that polished floors need to be regularly maintained if you want them to keep on looking good, speak to your local Tile Doctor about 3,4 or 6 month visits to re-polish the floor.